Page added in January 2011. 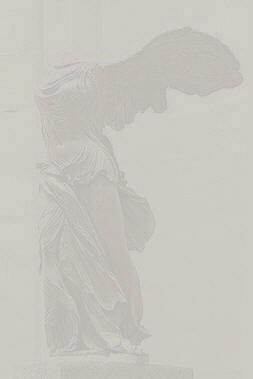 In 1863 the discovery of a statue portraying Nike (Winged Victory) by Charles Champoiseau, French consul at Adrianopolis (Edirne) made Samothrace, a small island near the coast of Thrace, popular. The statue was shipped to Paris and it became one of the most famous exhibits of the Louvre Museum; it was placed at the top of an imposing staircase in the (old) entrance hall (external link). 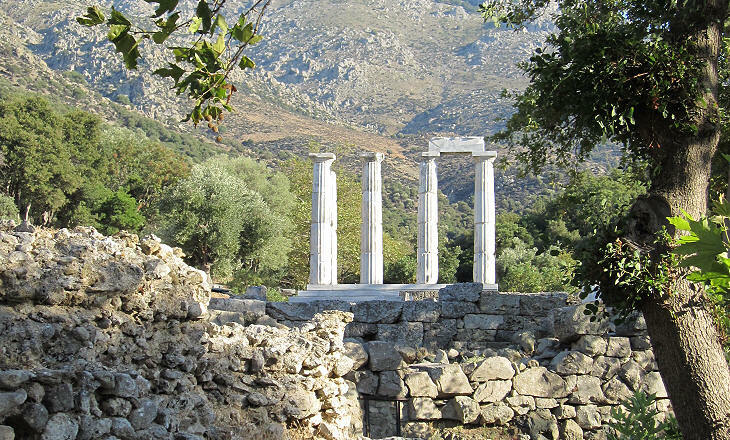 Samothrace owes its name to the inhabitants of Samos, a larger island near the Asian coast, who colonized it in the VIIth century BC. 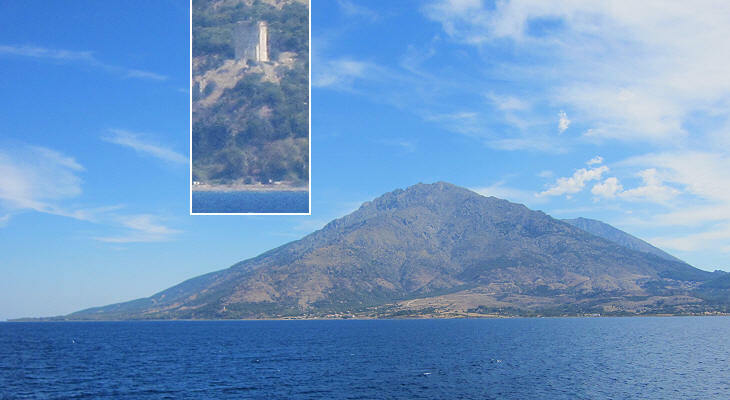 The island did not have a good harbour and it did not play a major role in Greek history until it was conquered by King Philip II of Macedonia, father of Alexander the Great, in the IVth century BC. 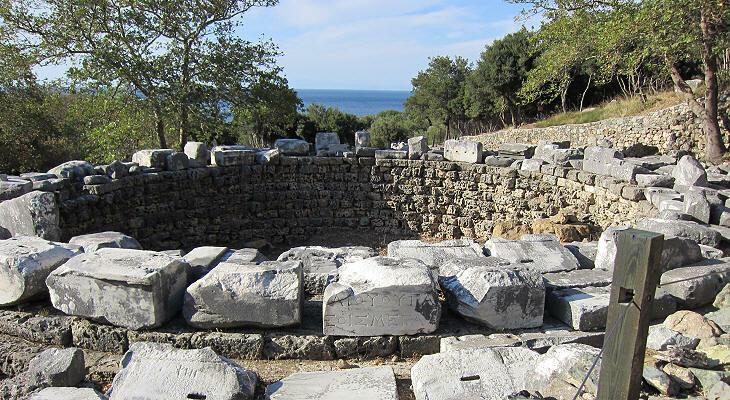 An existing sanctuary to the Kabeiri (very powerful gods of the underworld) which did not belong to the traditional Greek Pantheon, then became the shrine of the Macedonian nation. The sanctuary was located on the northern coast of the island, within easy reach from the mainland; the main ceremony, a nine-day festival, took place in summer, when the lack of a proper harbour did not prevent access to the island. 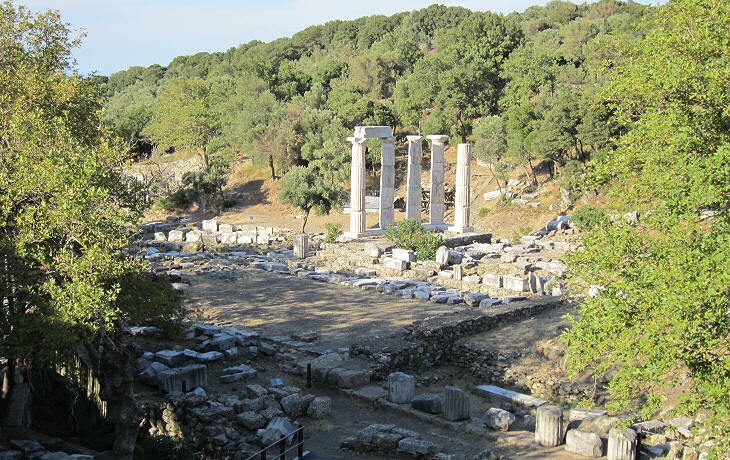 Similar to Eleusi access to the sanctuary was reserved to the initiates and according to Plutarch King Philip attended the initiatory ceremonies when he was a youth. 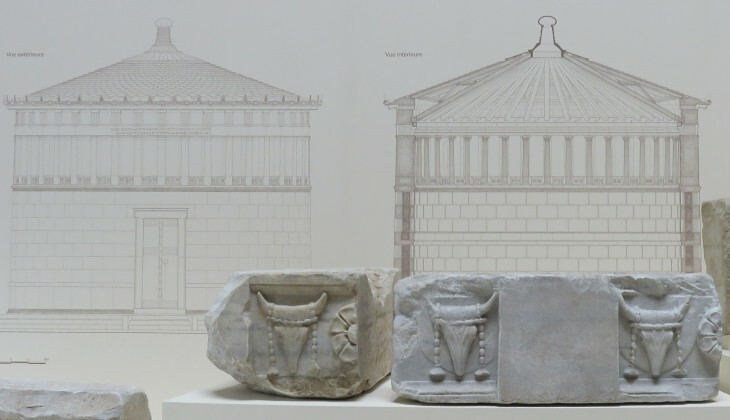 The Hieron had the appearance of a Greek temple, but it had columns only on the front and its wide cell ended with an apse, which was meant to symbolize a cave, the access to the underworld gods. The Kabeiri were thought to save sailors from shipwrecks and the Argonauts, during their expedition to fetch the Golden Fleece, stopped at Samothrace to seek the Kabeiri's protection. The initiation rites at Samothrace had less requirements than those at Eleusi and could be completed in all their parts in one single visit to the site; changes made to the Hieron after the Roman conquest (IInd century BC) indicate that the final ceremony was preceded by the killing of animals and that the blood of the victims was poured on the head of the initiate; at that time probably the sanctuary was dedicated to Cybele, a goddess of Anatolia, which was worshipped also by the Romans as Magna Mater, Great Mother (see a Roman temple to Zeus and Cybele at Aizani). The majority of the buildings date to the period which followed the Macedonian conquest; the Diadochi, the generals, relatives and friends of Alexander the Great who established kingdoms in the vast territories he conquered, contributed to the expansion of the sanctuary; Arsinoe II was the wife of Lysimachus, who ruled over Thrace; she later on married her own brother Ptolemy and became Queen of Egypt; she built near the Herion a tholos, a circular hall for the meetings of the sanctuary priests with the envoys of kings and independent towns for the organization of the yearly festival. In addition to the Macedonians, the sanctuary acquired importance also among the Greeks and it is thought that the statue of Nike was a gift from Rhodes to celebrate a naval victory. 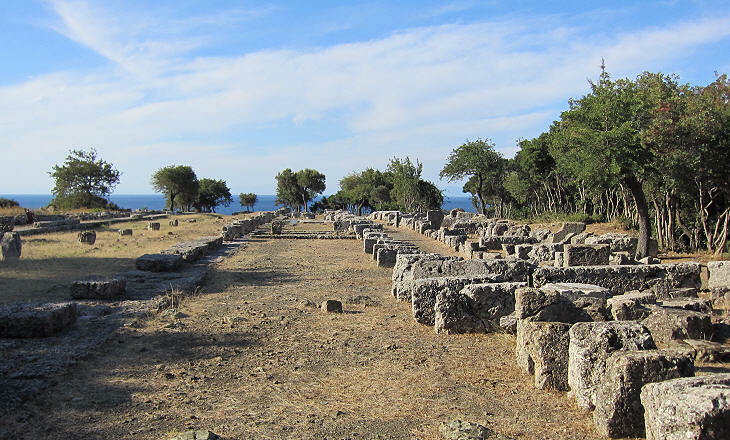 In 168 BC Perseus, the last Macedonian king, after having been defeated by the Romans at Pidna, escaped to Samothrace where he was arrested and brought to Rome to be paraded in the triumphal procession. The sanctuary and the island fell into oblivion in the IVth century AD; the inhabitants abandoned the settlements along the coast which were subject to pirate raids and sought refuge inland where a small village shows evidence of having been fortified. In ca 1415 Byzantine Emperor Manuel II assigned the islands of Samothrace and Thassos to the Gattilusio, a Genoese family who already controlled Metelino, a large island near the Asian coast of the Aegean Sea. 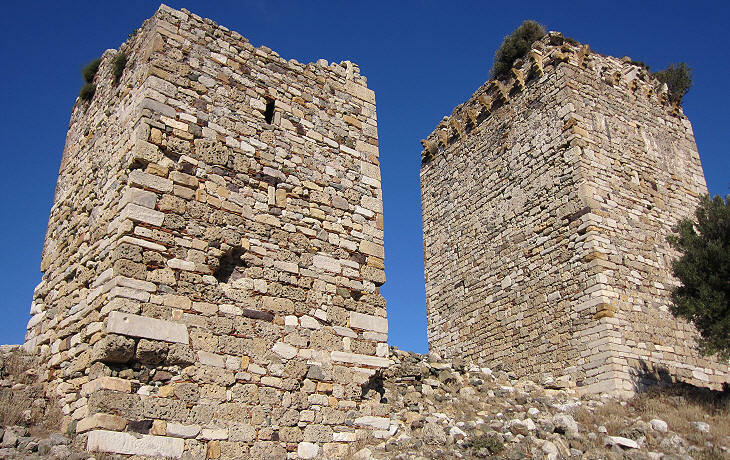 In 1431-33 the Gattilusio built a small castle with material from the ancient town; it had three towers, the largest one included a cistern and three stories with wooden floors. 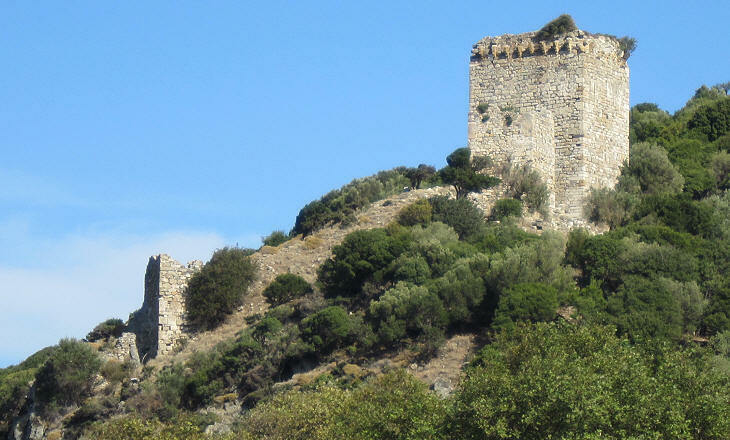 The castle was in visual contact with another one on Thassos and it probably had the purpose to detect enemy ships early and to alert the garrison of Thassos, a more important island with a good harbour. In preparation of or immediately after the 1453 Ottoman conquest of Constantinople, Sultan Mehmet II easily conquered the island which remained an Ottoman possession until 1912.